On Feb. 1, 1960, four Greensboro, North Carolina teenagers sat at a lunch counter and refused to leave, helping to ignite a movement that would ultimately result in great strides in social justice in the Deep South. In 1968, at the height of the Vietnam War, more than 1,000 students took over an administration building at Howard University, over 1,000 police officers had to remove students from buildings at Colombia University, and some 20,000 students swarmed a Paris university. And most recently, in 2017, after a school shooting that killed 17 of their peers, students at Marjory Stoneman Douglas High School in Parkland, Florida sparked a nationwide anti-gun protest known as March for Our Lives. Student activism is not a new concept. Throughout history, student activism has helped inform the narrative of some of the most pressing issues facing this country, the Vietnam War, desegregation, and the Black Lives Matter movement to name a few. Many contemporary commentators are suggesting that with debates about immigration, women empowerment and gun violence roiling the nation, we are currently in a new age of student activism. A 2016 UCLA survey of undergraduates reported that one in 10 would participate in some kind of protest during their college years, the highest mark since 1967, according to an article in the fall, 2018 magazine of the Harvard Graduate School of Education. 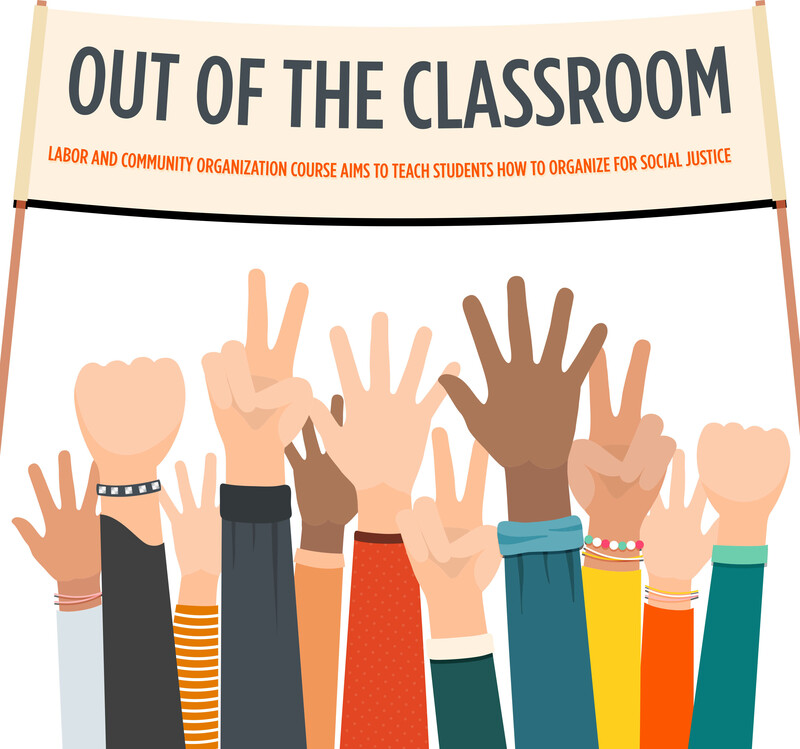 Which is only one reason why a new class offered this semester at CSUDH is so timely: a labor and community organizing course aimed at teaching students how to organize for social justice issues in their communities. The class is a labor practicum, meaning that it is based more on community outreach than lecture-based work. The class culminates in April with the Labor, Social and Environmental Justice Fair. “The course empowers students in that they have the capacity to change the world they live in,” Smemo said. Throughout the course, students study the successes of previous organizing efforts as well as the obstacles. The larger goal of this class is to get students out of the classroom and into the community Smemo said. The course also helps students build connections with labor unions and law offices doing social justice work. Students then have the opportunity to intern with organizations that interest them, Smemo said. Vivian Price, professor of interdisciplinary studies/PACE and coordinator for labor studies, describes the culminating fair event in April as an opportunity to bring hundreds of people to a campus that would have normally been under their radar. The event in April is put on by the students in the class as well as the Labor and Social Justice Club members. The event brings unions, community organizers, and speakers to the campus. Smemo describes the event as a festival with music and dancing. Local high school students also have the opportunity to come to this event. Additional reporting done by Jordan Darling.